Nestled in the north-west of Surrey is the main town in the Surrey Heath borough, Camberley. The location is split into suburbs including Old Dean, Heatherside, Diamond Ridge, Yorktown and Crawley Hill. 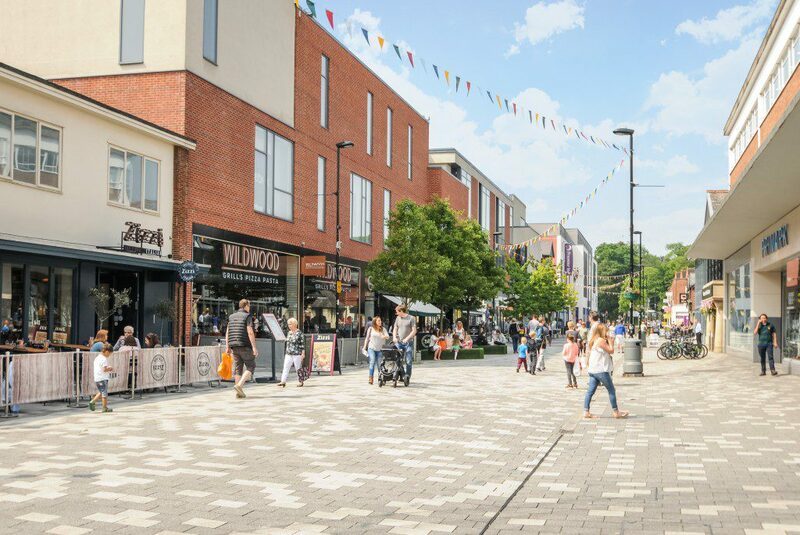 With excellent shopping facilities, strong transport links and ample schools for children of all ages, Camberley is an undoubtedly one of Surrey’s most popular places to live. The Mall is Camberley’s main shopping centre. 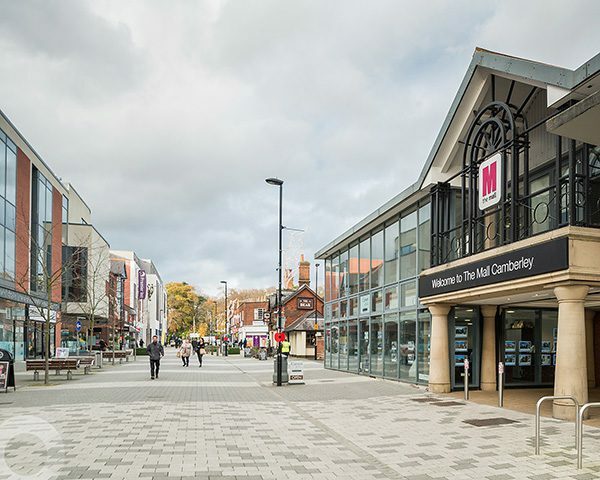 The modern structure contains over 100 stores and facilities, from clothes shops and hairdressers, to electrical products and department stores. You name it, The Mall has it. Furthermore, there are a number of cafes and food options for shoppers who need to refuel. Another popular destination is Camberley is The Atrium; a huge complex home to a few shops, many restaurants, a Vue cinema and Bowlplex. Many families, couples and groups of friends watch a movie or have a bowl and then indulge at Bella Italia, Prezzo, Wagamamas or desert favourite, Creams! Those who commute by car will be pleased to learn that the M3, which spans to Southampton in the west and London in the east, is on Camberley’s doorstep. There are also countless A-roads serving the town and the infamous A3 is just 25 minutes drive away. 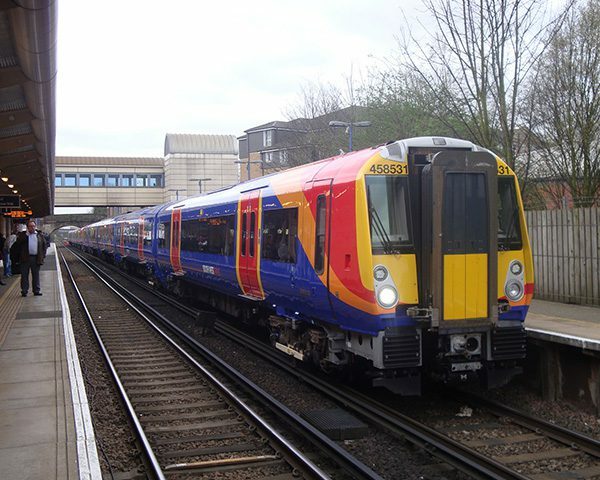 Commuters can quickly be in nearby Reading, Woking, Guildford or Basingstoke. Camberley railwayway station is formed of two platforms and servies run on the Ascot to Guildford line, with most trains travelling via Aldershot. Ascot is just a 12 minute journey away, Aldershot is 15 minutes south and Guildford, 46 minutes. Those who want to get into the city often utilise the three morning trains (6:47, 7:17 and 7:47) that continue on to London Waterloo. There are also two trains in the evening (at 17:05 and 18:05) that travel from London Waterloo to Camberley.